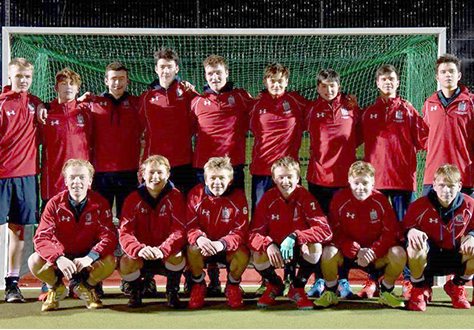 Charterhouse won a very tough first round cup match against RGS Guildford on Thursday 17 January to progress into the second round of the National Cup. A very tight game went down to the wire as both Charterhouse and RGS made it difficult for each other to score. However, a well delivered free hit from Raph Boulanger was met by a neat far post deflection from Sam Duffen for Charterhouse to take the lead in the first half. The second half was highly competitive and neither side was able to dominate possession. Good tackling from James Taylor, Freddie Clinton and Raph Boulanger kept RGS at bay and good attacking work from Max Say and Ross Fordham created chances. Eventually a clear chance fell to Alex Ford who finished expertly to double Charterhouse lead – and despite some pressure in the final minutes the home side held on to a 2-0 lead. The next round is on Wednesday 6 February vs Churcher’s College at 16:30pm (Away).